If you are looking for information on the Servpro franchise business opportunity, Servepro franchises, Serv Pro franchising or Serve Pro franchise information, then you have come to the right place. Founded in 1967, Servpro Industries, Inc. is a national leader in cleanup and restoration services for fire, water, mold, and more. SERVPRO's certified professional services network of more than 1,300 1,250 franchises in 48 states has relationships with major insurance companies, responding to property damage emergencies ranging from multi-million dollar disasters affecting entire communities to those suffered by individual businesses and homeowners. 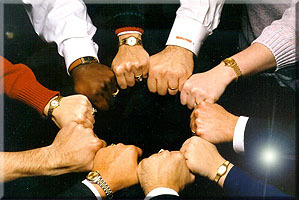 service, fairness, and mutual respect. Starting in 1967 as a painting business, SERVPRO has come a long way to become the premier cleanup and restoration company in the nation. Founded by Ted & Doris Isaacson in Sacramento, CA, SERVPRO began franchising in 1969 as a cleaning and restoration company. In 1979, SERVPRO acquired the Bristol Meyers Domesticare Division, which was comprised of 175 franchises. In 1988, SERVPRO moved the corporate headquarters from Sacramento to Gallatin, TN. This was a strategic move because the new location is within 600 miles of 50% of the U.S. population. At this point in SERVPRO's history, SERVPRO had 647 franchises. SERVPRO soon became a big contributor in the community, and in 1991, the Nashville Business Journal named SERVPRO Small Business of the Year. SERVPRO continued to expand the franchise team around the country. In 2000, SERVPRO sold its 1,000th franchise. 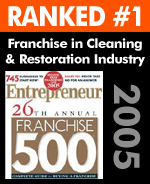 In 2002, SERVPRO set a new record by selling 100 franchises for the year. The growth continues because the need for our services will never go away. That growth presents a great opportunity for striving business owners. A Corporate staff who truly cares about "Helping Entrepreneurs Succeed"